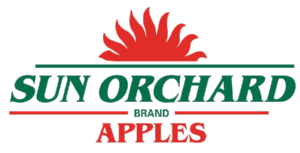 Sun Orchard Fruit Company near Newfane, NY- a leader in the packaging and distribution of regionally grown fresh apples has an immediate need for full time positions. Looking for reliable apple packers and stackers to work in a clean environment. The production manager is a key leader in the organization and will be expected to hit the ground running. Daily responsibilities include interpreting and executing daily production schedules, while quickly and effectively adapt to change that occur throughout the day. Ensure proper production by inspecting finished product and making necessary personnel and or technological changes. Working with other key leaders in the organization (maintenance, quality assurance, sales) to understand and advise on overall business activities. The ability to forward think is crucial, there are many different elements to the business that must all come together in order for us to be successful. Technology plays a major role in the production line, candidate must show prior success in learning new technologies. Prior supervision of hourly and or salaried employees is a must. Call 716-778-8544, stop by in person 2087 Transit Rd Burt, NY 14028 or fill out the form below!